Ralf 'Sono Rhizmo' Droesemeyer travels with the spirit of the beat generation and the heart of the bohemian jazzmen. Hipness is not a state of mind but a fact of life, he says. Call him a modern beatnik, this man is trout fishing all around the globe. 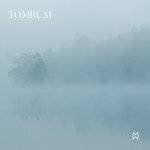 On the first compilation for his own Agogo Records label Sono Rhizmo collected fifteen tracks from as many countries he has travelled during the past few months. What we hear is a mix of conscious global beats, social soul and true rhythms, never overtly political but always aware of local matters and global changes. „Agogo Makes The World Go Round“ is a statement of independence, a plea to dig deeper beyond the surface. Sono Rhizmo’s first stop is Spain. Here his own Mo’ Horizons outfit met Ale Acosta and Nita, better known as Fuel Fandango. Their organic funk and flamenco touches perfectly open this album. Crossing over to Poland, we have Michal Paradowski (Bontone) and Michal Sosnowski (En2ak) aka Przasnik out of Wroclaw, who offer us their distinctive style of percussive grooves and clubby electronica. Peruvian combo Novalima merge the old school with the new school. Their Afro-Peruvian sound is as futuristic as it is exciting. After crossing the ocean to Australia, the Percussion Junction collective of drummers, percussionists and DJs welcomes us with their seductive urban tribal electronica. Bina Ehud on the other hand is a global project by nature. Brazilian guitarist Vinicio "Bina" Coquet and New York organist Ehud Asherie live their love for the Brazilian music and 60s American jazz. Ladi 6 from Auckland New Zeland is one of the new voices to watch in hiphop-soul. “Walk Right Up” has as much urban roots as it has a Jamaican heart. Meanwhile, French DJ Cléon hits the spot with his blend of seventies funk, classic New York disco, French hiphop and Paris latino. This is the perfect music for the travelling hipster. 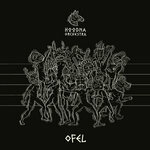 Mo Horizons themselves put their hands on Néné Vasquez’ „Salsa Del Alma“. This combination works wonders, and that is no surprise. Néné Vasquez is not only the band’s long time percussionist but has been crowned „Percussionist of the year“ in his home country Venezuela for several years and won a Grammy with his group Aterciopelados in 1999. 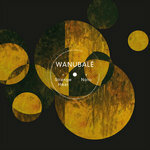 Quantic takes the tropical funk experience a step further. Together with His Combo Bárbaro he presents a snapshot from the native musical landscape of the Americas. Calmeira’s „Swallow“ seems to be some damn hot stuff out of the Nu Yorican quarters of Latin-American music but, as a matter of fact, it was recorded in Japan: Globalism is not a state of mind, but a matter of fact. Very much so looking into the future of their own native sounds, Oquestrada play the Tasca beat, the new popular music of the Portuguese streets and bars, made by the people for the people. DJ Alihea then takes us to the other side of Europe. The producer from Macedonia is one of the masterminds of the Balkan music scene and is well known for his aptly titled „SchliwoBeatz“ club nights. 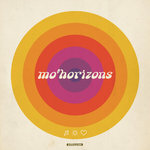 Back home in North Germany Sono Rhizmo and his Mo Horizons have mixed their label mates Una Mas Trio hit „Clear As Water“ ready to conquer the global airwaves. Grupo La Planta from Columbia add some serious funk-rock to „Agogo Makes The World Go Round“. Their lively approach to the sounds of their home country give the term Electrolatinofunk a good name. To round up the album International Velvet, the band featuring sitar player Rob Myers, hit the right chords with the programmatic „Sitargazer“. The artist from Washington DC could well be the global hipster Sono Rhizmo was looking for on his travels. He adds Indian magic to the urban realities of Thievery Corporation or Fort Knox Five. 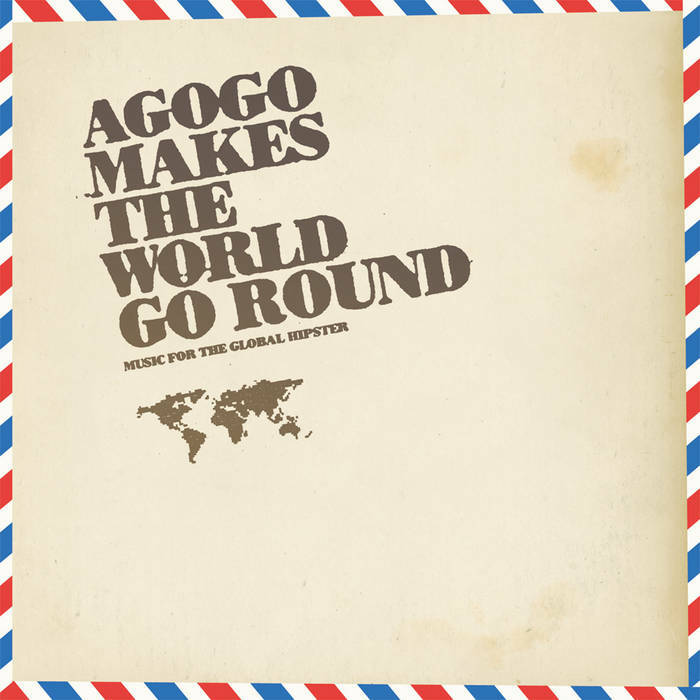 “Agogo Makes The World Go Round” arrives in an environmental-friendly, ecologically produced packaging. The content is the message, the message is the music: Agogo is not a state of mind, it is a matter of fact.